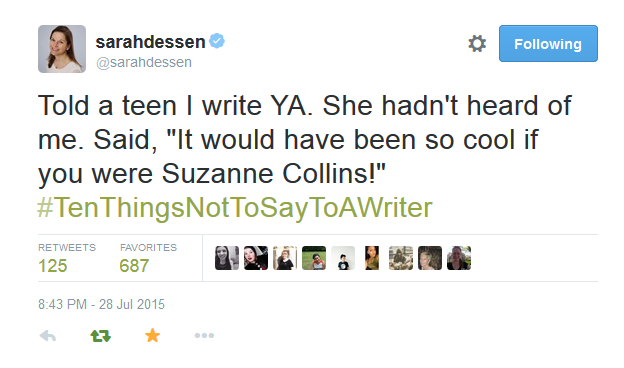 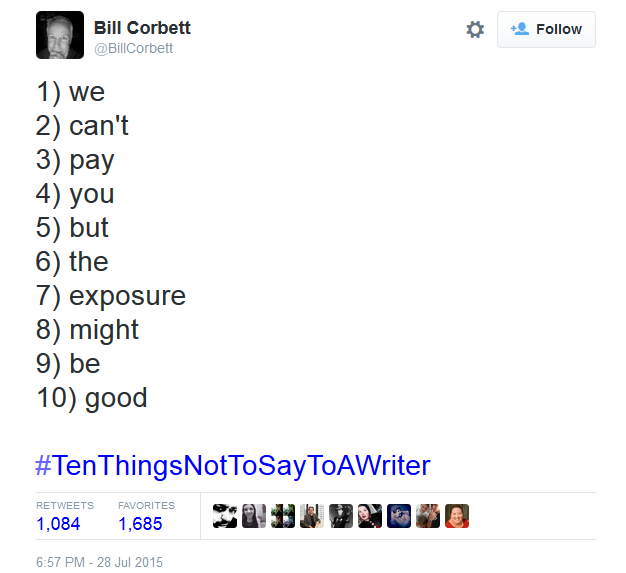 Last week writers all over the internet took to Twitter to share their hardships as writers by using the hashtag #TenThingsNotToSayToAWriter. 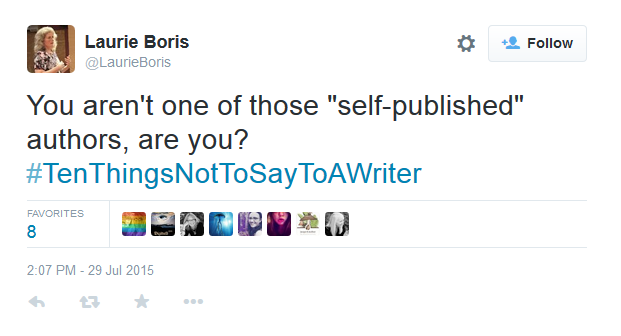 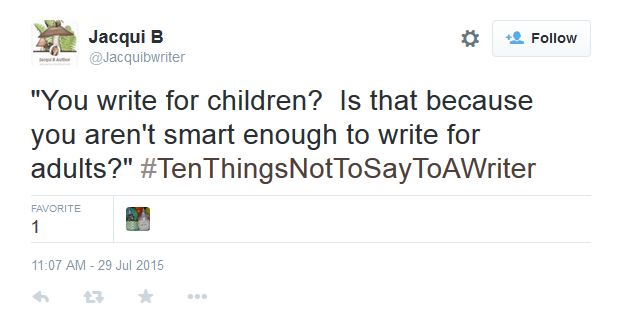 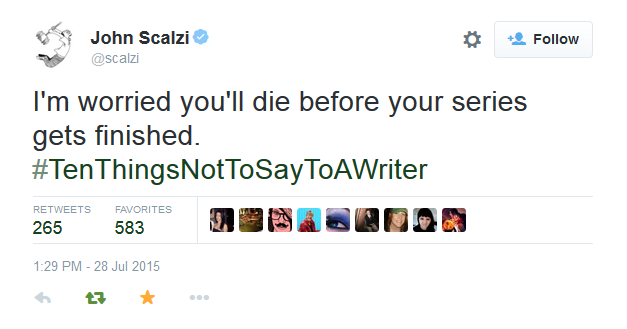 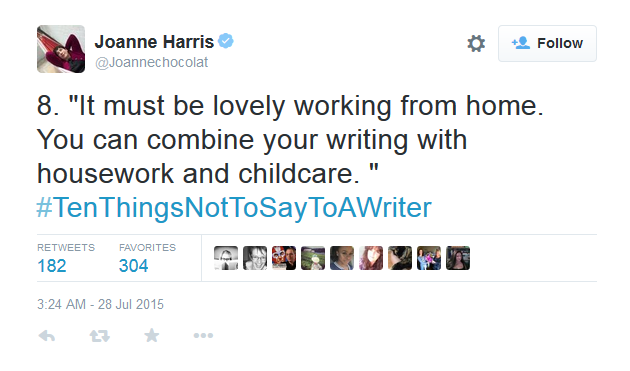 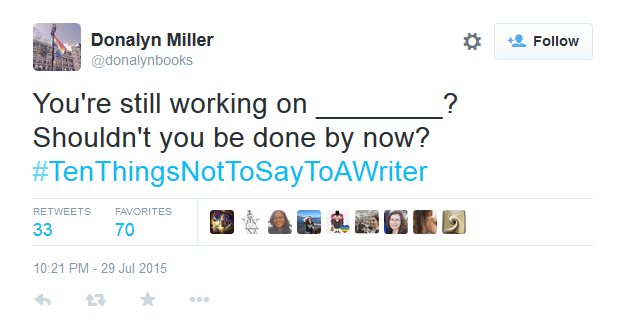 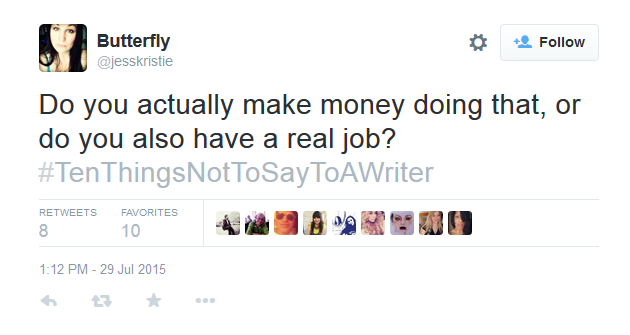 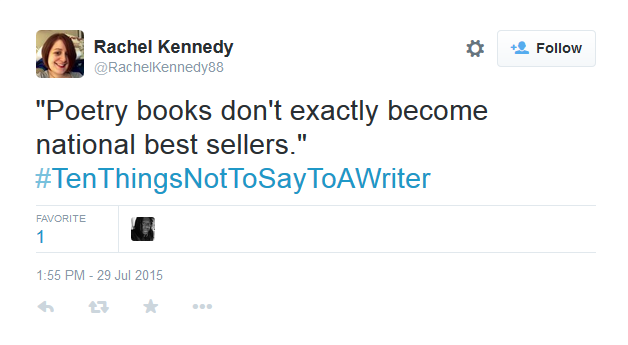 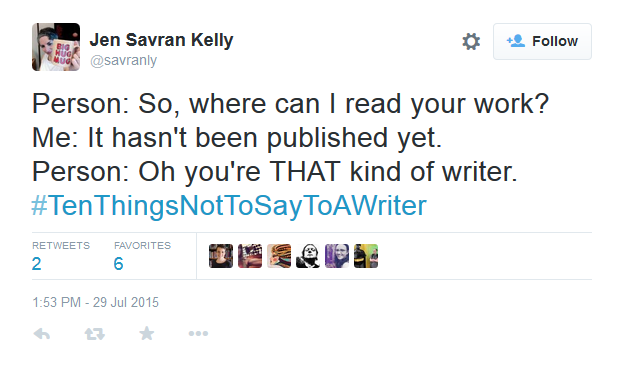 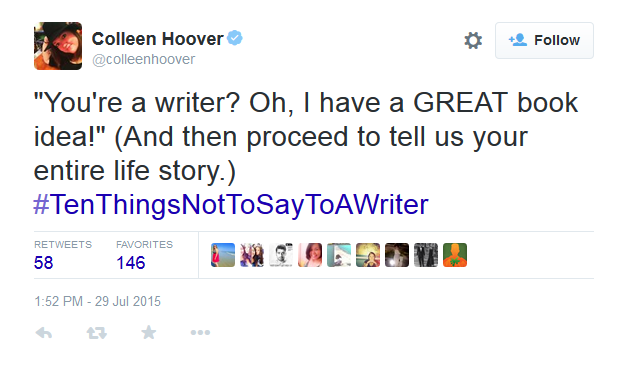 These are 24 of those tweets that perfectly sum up things you shouldn’t say to a writer. 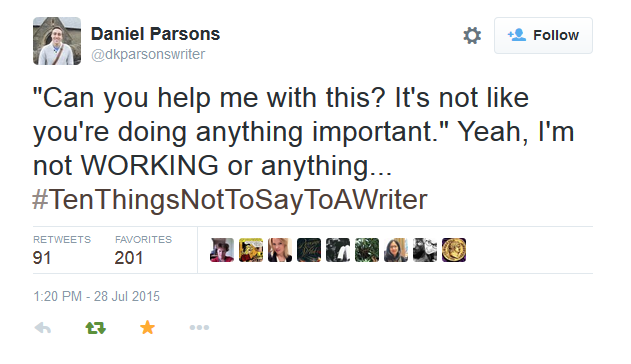 “Person: So, where can I read your work? 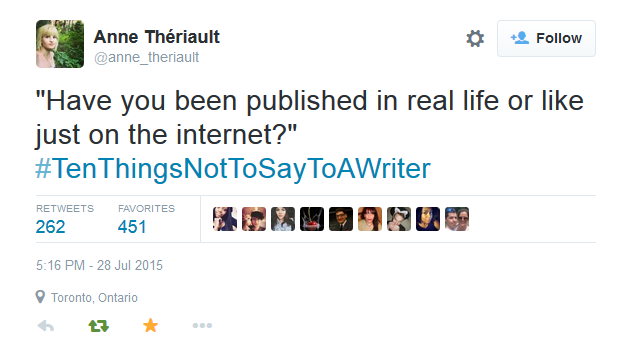 Me: It hasn’t been published yet. 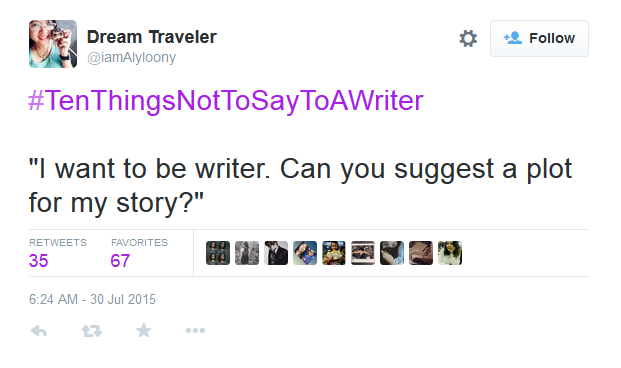 These are only 24 of the amazing tweets in this tag. 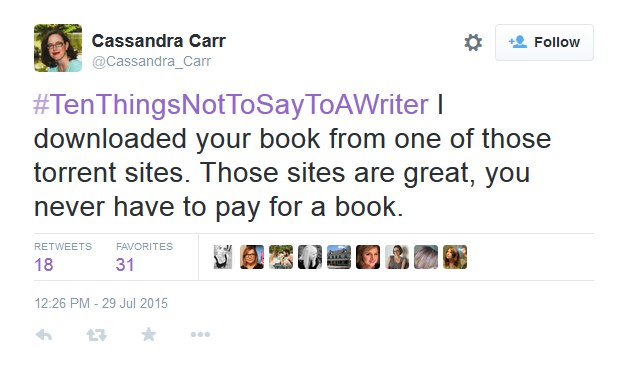 I highly recommend going and checking it out, especially if you’re a writer. 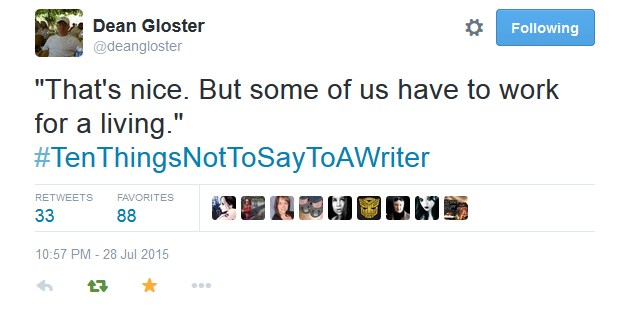 It’s definitely one of the most relatable things I’ve read online.